You can add dried spices and herbs such as basil, oregano, parsley, thyme, etc. The finished dish can be sprinkled with cheese like parmesan or asiago, maybe even cotija. They can be cooked on the grill as well as in a frying pan or oven. Cut off the tough ends of the asparagus, rinse and dry. Place the asparagus on a baking sheet, sprinkle the top with olive oil, salt and pepper, and sprinkle with garlic powder. 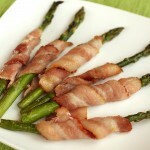 Mix well with hands, so the seasoning evenly coats the asparagus. 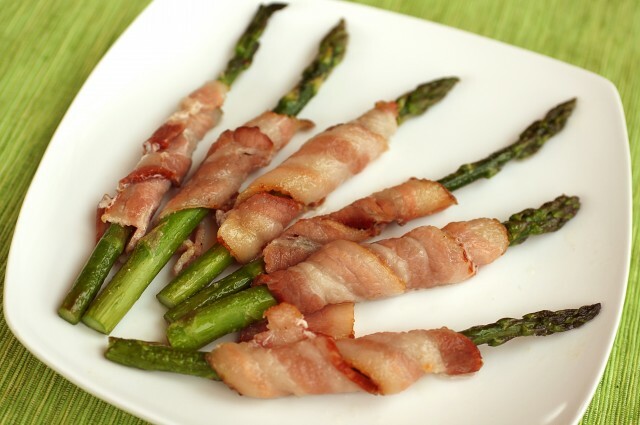 Leave the asparagus for 20-30 minutes to soak in the seasoning then wrap a strip of bacon on each stalk of asparagus, leaving the end open. 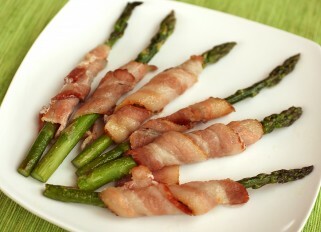 Cook in an oven at 390F for about 8-10 minutes or grill the asparagus with bacon on the grill until done.